There has a rapid rise in the number of digital, or “freeform”, lenses manufactured in the last few years. There has been an equal amount of confusion on the part of patients and opticians alike regarding what this really means for how well a patient will see through their new glasses. We aim to give you a basic understanding to the world of digital lenses here, explain what makes them unique, and give our own opinion of their usefulness in the eyeglass industry. What makes a standard lens different from a digital lenses? A standard progressive lens starts as a semi-finished premolded lens with the progressive design already molded on the front surface (hard, soft, short corridor, etc). The manufacturing lab will then generate the Rx on the back surface of the lens without altering the foundation of the progressive design already molded on the lens. A digitally surfaced progressive, in contrast, uses software which takes into account pantoscopic tilt, vertex distance, Rx, frame fitting position, and sometimes even eye movement patterns, to create a “customized” progressive design for each particular patient. In theory, this will provide greater peripheral vision and definition. This is why “Freeform” is often used interchangeably with “digital”, to imply that the lens is not confined to the same premold parameters as standard lenses are. So although digital lenses are often referred to by their brand name, the “brand” is actually the software which makes the design based on what it thinks the patient will like most. It might end up being be a hard, soft, or short corridor design, depending on what inputs the optician specifies. The outcome, as a result, is unique for the given patient’s prescription. Therefore, contrary to the belief of many, it is not the lens itself, but rather the process by which the surface of the lens is manufactured. No two lens manufactures use the exact same software to create their digital progressives. Therefore, each optical boutique cannot possible by proficient at fitting every type of digital lens available, as they all will have slightly different fitting requirements. Most offices will chose one or two digital lens manufactures in order to become proficient in their digital lens fits. 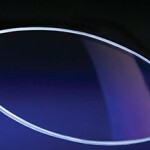 One of the biggest differences is the accuracy of the lens manufacturing. Digital lenses are accurate to 0.01 diopters. The human eye can only resolve as small as 0.15 diopter intervals, and doctors prescribe in 0.25 diopter intervals. This raises the question, how much added benefit does this accuracy difference really make? Consider that this means freeform lenses are 15x more accurate than the eye is capable of resolving and 25x more accurate then the doctor’s phoropter is capable of prescribing. It would be similar to the analogy of pixels in a camera, at what point do increased pixels stop noticeably improving picture quality and just become a marketing strategy? 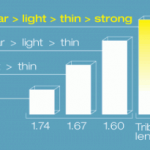 Although freeform lenses do provide some theoretical benefits over traditional lenses, we do not believe that accuracy to 0.01 diopters is one of them, although this is often a marketed benefit by digital lens manufactures. Due to the fact that the lens is designed based on many parameters, including the frame, the prescription in a digital lens is referred to as a “compensated Rx”. Conventional progressive lenses are designed to maintain clarity when the vertex distance and pantoscopic tilt are the same as when the doctor measured it in the phoropter, not when actually worn by the patient in their new frame. Consequently, freeform prescription optimization attempts to provide that same clarity, but when worn in real-life. This optimized Rx is called the “compensated Rx”, which is the prescription you will see when analyzing it in the lensometer, not necessarily the same as that which was prescribed. The lens manufacturer will provide you with a card along with the freeform lenses with the “compensated Rx” that you will find when analyzing the lenses in the lensometer. The correct “compensated Rx” will, in theory, produce the correct prescribed Rx for the wearer in real life. 1) Abilities of the processing lab hardware. 2) Software designing the digital lens. 3) Accuracy of the data provided by the fitting optician. Because there is so much more required accuracy involved on the part of the lab and the fitting optician, there is also less room for error. Any error the optician provides the lab, such as an incorrect PD or seg height, will become much more magnified than in a standard lens design. Standard lens designs can absorb small errors more easily without patients perceiving the problem. A digital lens, even if fit perfectly by the optician, is only as good as the hardware and software that generates the final surface design. For this reason, digital does not always mean better. Will patients perceive an improvement in vision? In our experience, maybe. 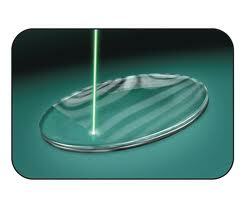 Currently, digitally designed lenses, especially progressive lenses, can be thought of as being in their infancy. The software that creates them is constantly evolving and improving. For a patient who has been a long time successful progressive lens wearer without complaints, we recommend keeping them in their current design. However, if a patient has historically been unable to adapt to progressive lenses, a digitally designed lens may provide a beneficial outcome. What is the future of digital lenses? As with all things, digital lenses will become increasingly better over the next decade as the software and hardware that creates them improves. Similar to progressive addition lenses, there will likely always be top tier and lesser quality digital lenses. Most lens manufactures will eventually offer a digital lens, most do already. However, there will likely never be a uniform way to fit a digital lens as there is for varying brands of progressive addition lenses due to the customized nature of the lens. Therefore, it will be essential that optical boutiques partner with reputable lens manufactures and become proficient at fitting their digital lenses, since there will be no way to learn how to fit every type available. 1. Placing the word “digital” on the lens does not automatically make it better than what the patient is already wearing. 2. The digital lens design industry is still evolving in technology, in 10 years the designs available will make today’s options look like the Edsel. 3. Success with digital lenses require the perfect balance of 1) A good software design, 2) a good measure of all required parameters by the optician, and 3) a good fit of the frame to insure it fits exactly as it was when the measurements were taken. 4. We already know that the frame must be perfectly adjusted before taking measurements for standard progressives. It is even more important for digital lenses as errors will become magnified as customization increases. 5. Get to know how to fit a couple digital lenses really well. Unlike standard progressives, you will never be able to fit all of them. 6. The potential benefits of digital lenses is tremendous, however we believe the software and hardware is not yet evolved enough to make the most of the possible benefits. But just wait a few years! 7. It is hard to justify at this point using a freeform progressive lens in lieu of a patient’s current progressive if they are already happy. Don’t mess with a good thing. However, for previous PAL non-adapts, it might make sense to give a freeform PAL a try. 8. The “compensated prescription” values, the prescription as read through the lensometer, from the freeform optimization process may be noticeably different from the prescribed Rx values. Do not be surprised by this. Most digital lens manufactures will send you a “Compensated Rx” verification ticket along with the lenses. 9. Digital lenses are accurate to 0.01 diopters. The human eye can only resolve as small as 0.15 diopter intervals, and doctors prescribe in 0.25 diopter intervals. Therefore, this is probably an overrated benefit. 10. Don’t be afraid to jump in and get your feet wet with this technology, this is the future of lens technology so the more you practice with them now the sooner you will learn how to use it to the patient’s best advantage.